At the end of my tiny Wild Woman Travelling the World (OK, I went from New Zealand to San Diego, but it’s still 10,000 km away) and filling in time at LAX, I came across a shop whose contents made my heart sing – books! I was in seventh heaven and spent quite a bit of time leisurely browsing. 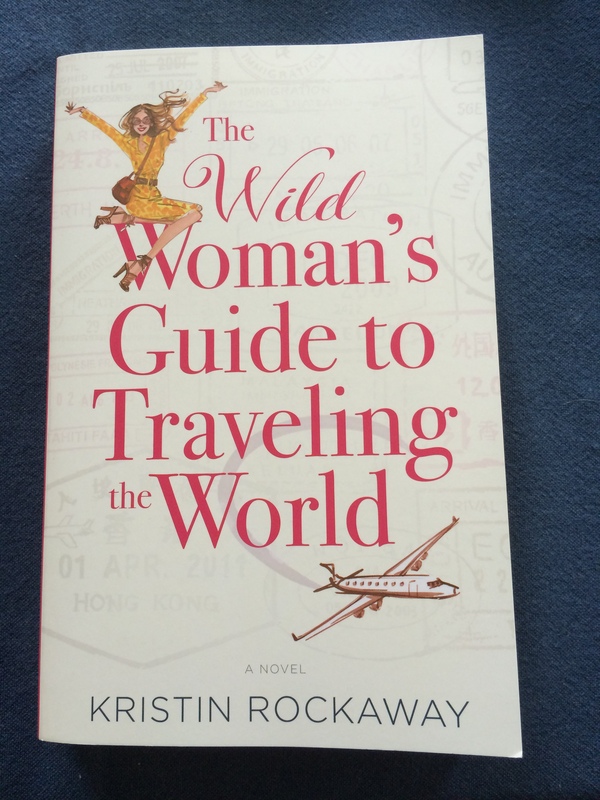 I picked up The Wild Woman’s Guide to Traveling the World (WWGTTW), read half the blurb, liked how the book was resonating on my almost completed wild journey but put the book back down. After browsing some more, something made me return to WWGTTW. I read the blurb again, this time continuing right down to the author bio. Not only did the author, Kristin, live in San Diego, was an ex-New Yorker but Bob Boze the person who’d been staying with in San Diego was also a writer and an ex-New Yorker. That was too much of a coincidence and it cinched the deal – I bought the book. I try to read only one book at a time although sometimes I stray (check out my post here on how many books is it possible to read at one time without going insane), WWGTTW was on the top of my TBR pile. Before long the cartoonish plane and the spirited Sophie were yelling at me to “read me, read me”. So I did! Once I began I couldn’t put this book down as I was drawn in by Kristin’s easy writing style, plot development and the lovable Sophie and independent thinker, Carson. And the more I read the book I found I was at times proud, shame-faced and hysterical as I realised I was practically reading about myself 10-15 years ago – career focused, travelling, list-making and in constant planning mode. Actually I still have some of Sophie’s traits. I’m just more relaxed about a lot of things now. I could so identify with Sophie – being so focused on where I was going next in my career and getting caught up in the busy-ness of life, one had forgotten to take time to smell the roses. I was driven by getting ‘stuff’ done with the ultimate goal at the end of each day being ticking off the ‘to do’ list, chastising myself for not completing everything and then striving to do better as I compiled my next day’s list. Reading about Sophie was like taking a long, long look down into my soul. Another message that was particularly relevant to me as the worldly-wise Carson told Sophie “…we’re all part of something much bigger than us. The universe has its reasons for bringing people together.” And I firmly believe that people, books and places come into our lives when we need guidance. have the courage to do what you fear. The ultimate message for me was the one at the end of the book – that by doing the above can actually mean life turns out way better than if you’d planned it. WWGTTW was a lovely story that didn’t have too many characters. It had lots of foreign locations. I loved Sophie. I loved Carson (the artist, the drifter, the wise one and the dreamer). So many romance novels these days have a way too predictable ending which quite frankly becomes worn out and unimaginative. Kristin does a great job of letting the reader decide what the future holds for Sophie and Carson. I was so impressed with WWGTTW that I emailed Kristin to tell her how much I enjoyed her book never expecting to get a reply. But she did, and she sent me a lovely response. Thanks so much Kristin. WWGTTW inspired me in so many ways and it wasn’t long after my San Diego holiday that the itchy feet wouldn’t stop itching and I was planning my next Wild Woman World trip to the UK in 2018. Watch this space! Have you ever read a book that inspired you to travel or you felt like you were reading a story that was all about you? Great Review Kiwi. I enjoyed Kristin’s book as much as you did and the review is well deserved. Thank you. Can’t wait for her next one!